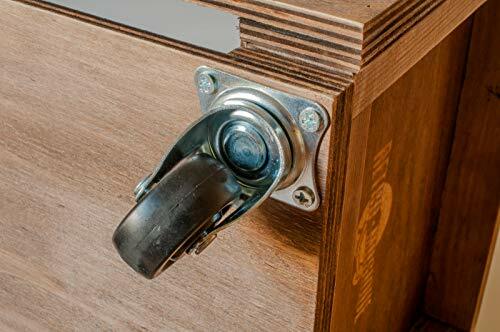 High quality construction means no maintenance for years. Looks better the older it gets! 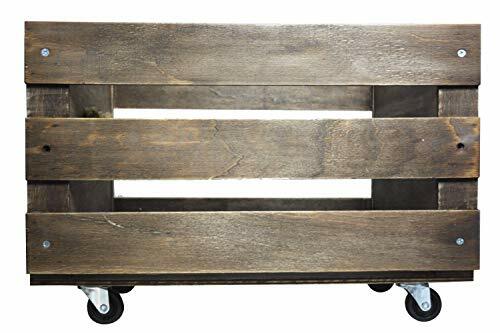 This all-natural wood storage crate lets you access your records in moments to store, view and select the LP you're looking for. 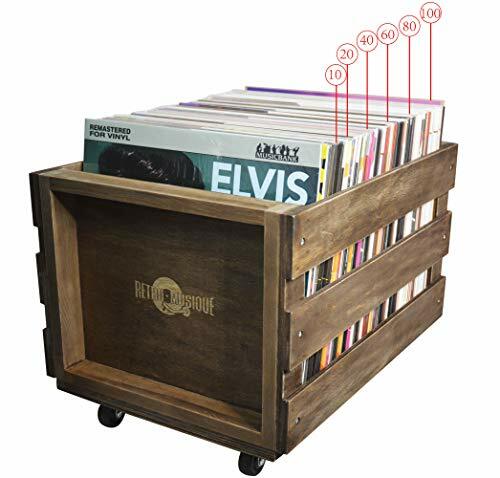 It comfortably holds up to 100 of your treasured vinyl and can be effortlessly moved around your room to find that best spot to keep your albums safe, organised and out of the sun. 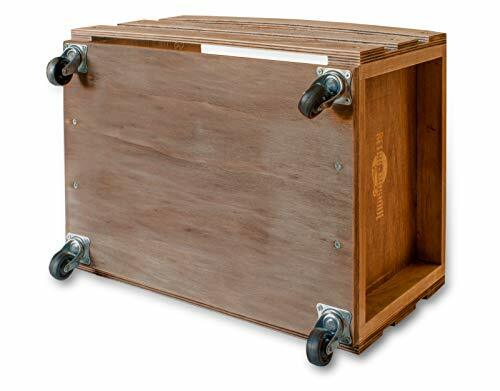 Durable and high-quality metal castors with ball bearings let your storage crate glide easily across the floor, perfect for when you are vacuuming and cleaning. 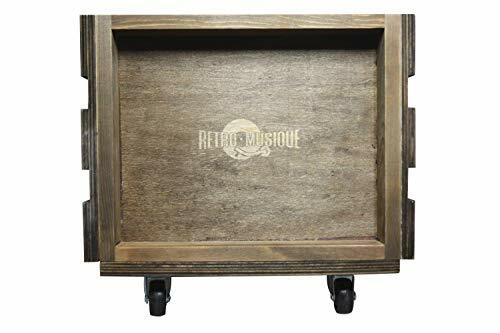 What's more, the vintage look of this crate, complete with the firebranded 'Retro Musique' logo, means that the older it gets, it just looks even better! 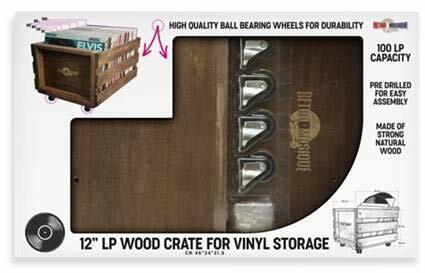 Give your record collection the home it deserves and let your family and friends see the cool vinyl you own!